Prepared for the World Commission on Twenty-First Century Urbanization Conference in Berlin in July 2000. This book is an entirely new and comprehensive review of the state of world urban development at the millennium and a forecast of the main issues that will dominate urban debates in the next 25 years. It is the most significant book on cities and city planning problems to appear for many years. I - The Millennial Change. II - Trends and Outcomes: The Urban World of 2025. III - Two Scenarios: The Urban World of 2025. IV - Rising to the Urban Challenge: Governance and Policy. V: Good Governance in Practice: An Action Plan. 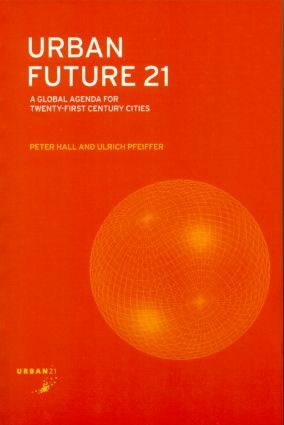 Peter Hall is Professor at the Bartlett School of Planning, University College London. Ulrich Pfeiffer is an economic adviser to the German government in Bonn.